Pink Doughnut Personalized Luggage Bag Tag. 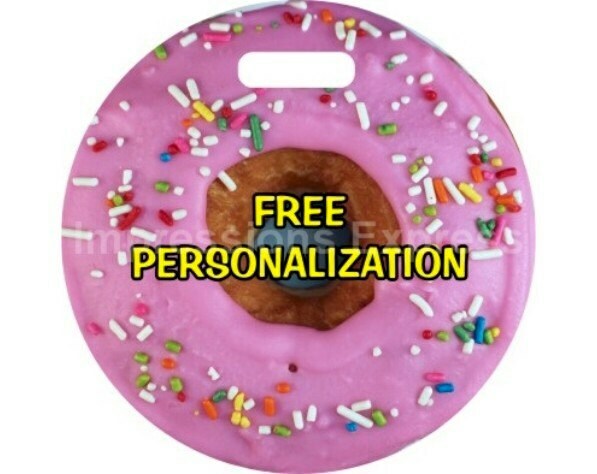 A personalized double sided pink doughnut on a round luggage bag tag. This unique 4" diameter bag tag is made of durable 1/16" thick fiberglass reinforced plastic which is easy to clean with a damp cloth. The finish is glossy. The image on this luggage bag tag is a high resolution photo of a pink iced frosted doughnut with multicolored sprinkles.